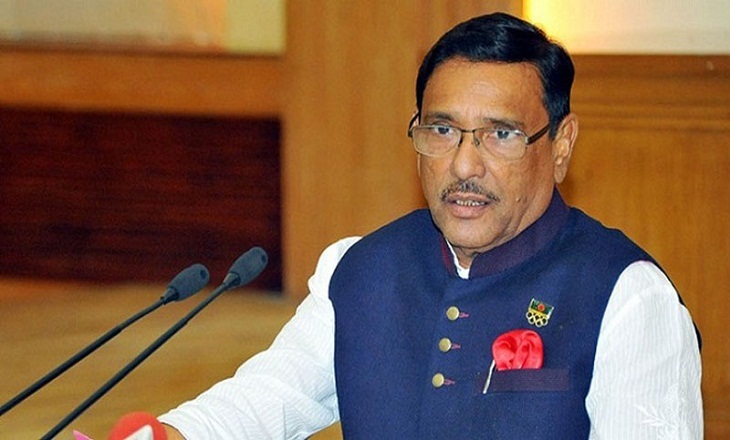 Awami League General Secretary and Road Transport and Bridges Minister Obaidul Quader on Tuesday said graft case convicted BNP senior vice-chairman Tarique Rahman is more than enough to intensify crisis in the party. "We don't want to see split in BNP. It's a big political party. But if it is happened, then the party men will be responsible for that," he told newsmen while visiting BRTA mobile court activities in the city in the afternoon, reports BSS. Quader said: "We won't do anything to deepen the internal crisis of BNP. Tarique Rahman is more than enough to do that." About the imprisonment of BNP Chairperson Begum Khaleda Zia in the Zia Orphanage Trust graft case, the AL general secretary said court would decide whether her imprisonment will be longer or not. There are also several cases against Begum Zia but the government would not interfere in such matters what it did in the past," he added. The minister said sometimes BNP said that it would take part in the next parliament election under any circumstances and at a time the party avowed that it would not participate in the polls without Begum Zia. At first they must have to decide what they actually want, he added. The AL general secretary said BNP leaders thought if Begum Zia went to jail, thousands of people would take to the streets. But in reality, he said, it did not happen as even several hundred people were not seen on the streets after that. "People's support is must to wage movement. But BNP failed to draw public support," he added. Quader said the people are fully faithful to the leadership, honesty and statesmanship of Prime Minister Sheikh Hasina, daughter of Father of the Nation Bangabandhu Sheikh Mujibur Rahman.